Complete your retro costume look with a neon colored mod wig. These bob wigs are the perfect way to complete your Katy Perry or pop star look. Available in Hot Pink, Purple, Blue, Orange or green. 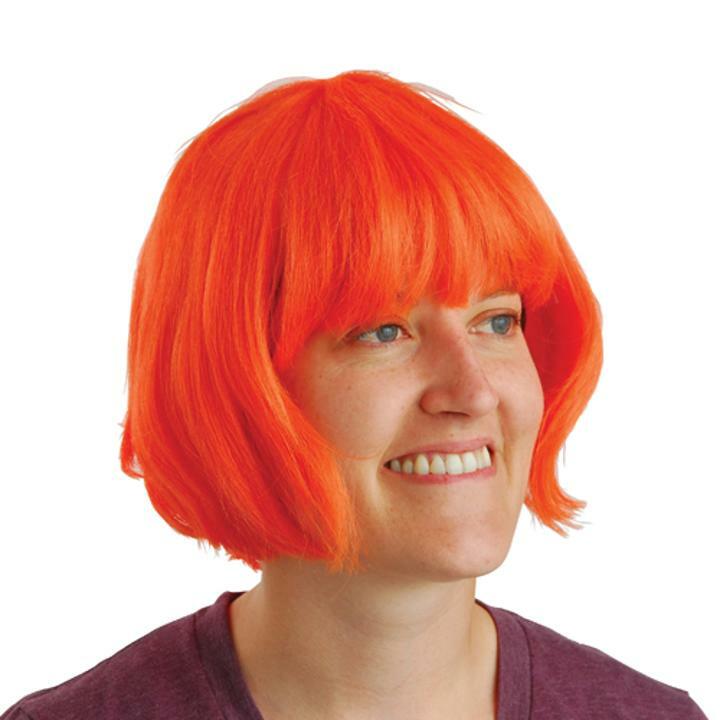 With a wide range of colors your are sure to find the perfect wig to complete your Halloween costume. Find the best Halloween costume accessories at the best prices. We have a wide selection of accessories that will complete any trendy or hot Halloween costume. L: 8.2 in. W: 1.25 in. H: 10.3 in.